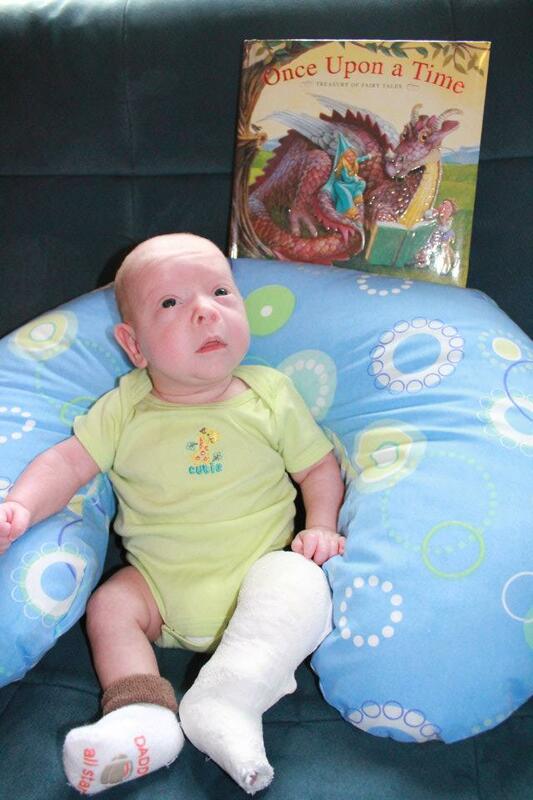 Last week, Drake had his follow up on his clubfoot at the halfway point of his 23hour wear portion of his treatment. Everything checked out well, and it was such a relief. Any Ponseti treatment trained specialist is going to tell you that clubfoot treatment is 5% medical/95% parents. You have to be committed to the bracing protocol 100% or your child will relapse and it will be necessary to go through the casting phase all over again. There is always a chance of relapse, but the probability drops drastically if you follow proper bracing protocol. The best part of my day is watching Drake kick his happy feet in his tub during his bath or smile and coo because his comfortable during his tummy time play. It is NOT easy to put his shoes and bar back on as he fights me with every fiber of his being, wailing at the top of his lungs, with his pouty bottom lip poked out. There have been nights I sobbed about it afterwards. Nights I rocked him to sleep because he’d wake himself up knocking into his crib and wake up screeching in fear. A 6 month old doesn’t understand why his mother is doing something he hates. He doesn’t know why his feet have to be locked into position 23 hours a day. I explain it to him, and I strap him in because I know that when he is running pain free at 5, 10, 20 years old that will be all I need to erase the memories of making my baby miserable away. It is HOPE for the FUTURE. That’s what makes it possible to do this everyday. Now our real journey begins. Drake was fitted for his Mitchell shoes with Ponseti bar brace today. This has been the fussiest I have ever seen my quiet preemie. I knew that the coming years of getting this corrected would probably be a bit of a struggle. I’m so thankful that this is a correctable issue, but I’m so sad that it’s one Drake will be fighting for the next 5 years. And number 3. That’s the reason all of this is possible. The Yahoo group nosurgery4clubfoot has been a real comfort to me today. Please God give my husband and I the strength to do this for our son. Help us to remain vigilante and compliant to the best care plan for him. We won’t talk about the offhand comment about his brace making him look like Forrest Gump. It made my heart hurt for him, and it made me so, so glad that we will hopefully be through this before he has to be too much in the world without Mommy & Daddy.